One of my favorite parts about blogging is trying new things and challenging myself to style unexpected items. 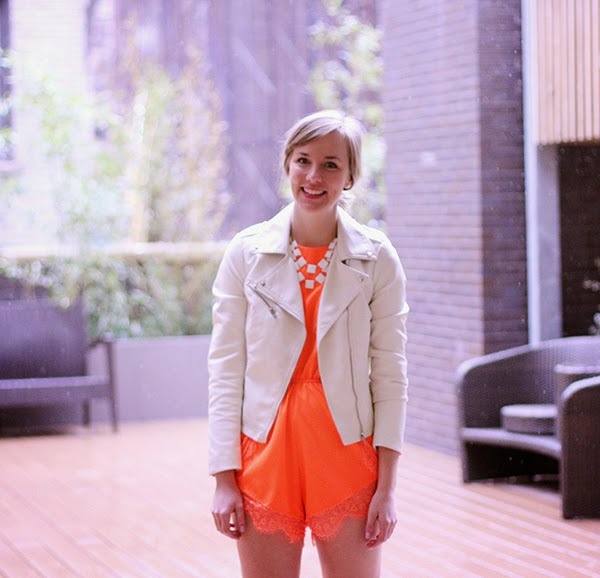 I would normally never run around in a neon orange romper but when the challenge arises it makes for a fun style sesh! 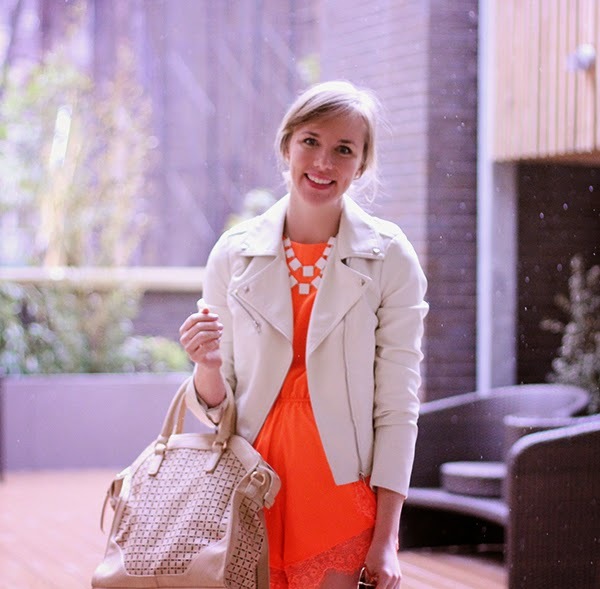 In case you haven't caught it yet, this week's East v. West spring style trend is "neons" aka the brightest items you can add to your wardrobe! I took my orange romper down a few notches by keeping the rest of the palette neutral. What would you style with this? Check out everyone else's look below! District Sparkle // Living After Midnite // Golden Divine // Pursuit of Shoes // Oomph. 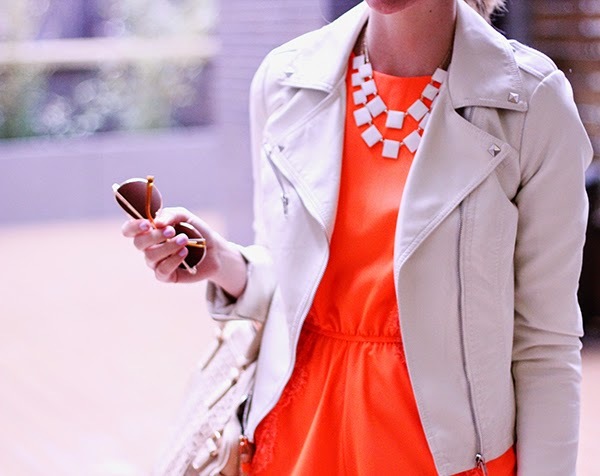 LOVE this jacket & romper combo! You look fab! i think you styled it perfectly!! loving the pretty lace detail! That romper is so so cute! I love the color, I love the lace, I love it with the jacket. Such a fantastic look!